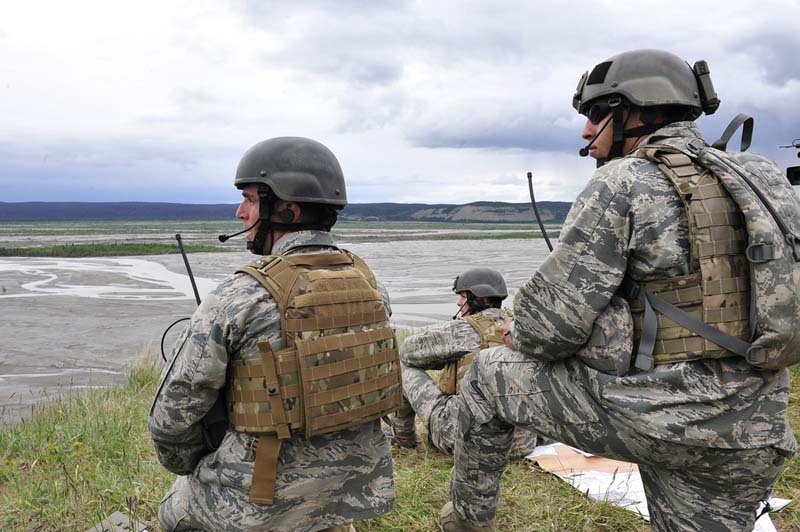 The Air Force still plans to change the physical standards for air liaison officers despite the objections of the enlisted tactical air control party airmen whom they will lead, according to Chief of Staff Gen. Norton Schwartz. The controversy within the TACP community started when a draft memo emerged that would allow officers training to be 13L air liaison to continue with their training if they cannot pass a physical stamina test and ruck marches required during the four-month training. The memo is still in the approval process and not yet official, said Maj. Gen. Brett Williams, whose name was at the bottom of the undated, unsigned memo. However, the Air Force does plan to adjust the training for 13L officers, Williams said. The 13L career field was established to augment air liaison officers, or ALOs, who are temporarily assigned to the position. Those ALOs don’t have to meet TACP standards. “The appropriate standards for a 13L to meet are the same standards that we require of ALOs, air liaison officers, as we’ve had them — since World War II, but certainly the same standards of training for the past 20 years and certainly the same standards we’ve had in combat for the last 10 years,” Williams said in a July 12 interview with Air Force Times. But the memo outraged Tech Sgt. Israel Del Toro Jr., a TACP instructor who is widely admired for continuing his career in the Air Force after suffering burns over more than 80 percent of his body in a roadside bomb attack. After more than 100 surgeries and losing his fingers to partial amputations, he was allowed to re-enlist in February 2010.